As the decisions of the courts are showing, the order is discriminatory, based on fear and xenophobia, not reason. It is un-American. According to a recent University of Alaska analysis, high numbers of immigrants in Anchorage's Mountain View neighborhood have made it the most diverse in the U.S.
Our American values are why people want to come here, to "breathe free," as the poem inscribed on the Statue of Liberty says. However, America has a history of failing to live up to its values. We ask you to stand up for our values as a state and as a country. Especially in Alaska, with at times difficult-to-access medical care and some of the highest rates of sexually transmitted diseases and sexual abuse in the nation, it is vital we support the most effective means of providing affordable and accessible reproductive health care. That means Planned Parenthood. We thank you for your commitment to prevent defunding of this vital organization. We support health care for all. 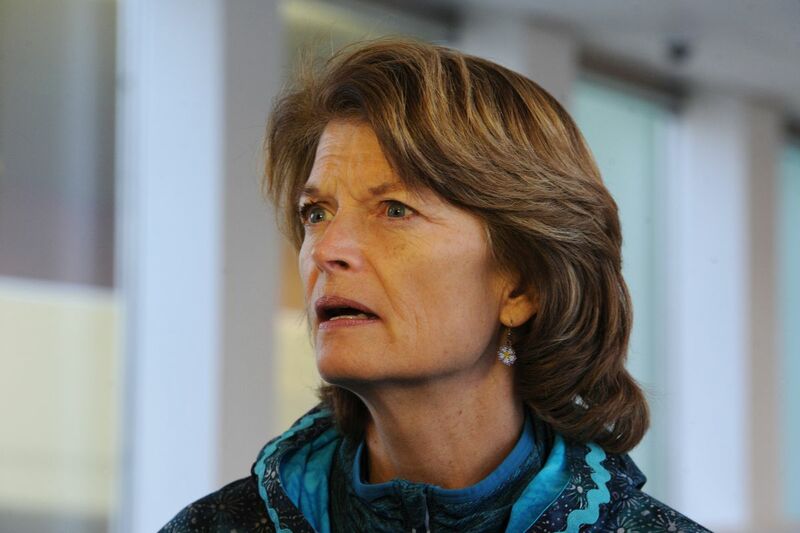 As you are aware, many Alaska jobs — fishing, part time and entrepreneurial work — do not provide health care coverage. If Congress guts, or repeals the ACA, or institutes "high risk pools," many of us and our loved ones will lose access to health care. A man with clear ties to white supremacist movements is in the highest echelons of the United States government. This is unacceptable and immoral. We ask that you join us in condemning Bannon and doing what you can to curtail the power of the bigoted. We are grateful you were not among those who voted not to require President Trump to release his tax returns. Please fight to eliminate conflicts of interest in the executive branch. These are matters of national security and sovereignty. Donald Trump could remove sanctions against Russia that will lead to tax-free oil profits to the benefit of Vladimir Putin. The relationship between the Trump administration and Russia must be investigated. Please advocate for an independent inquiry of these unprecedented and dangerous allegations. Climate change is impacting Alaskans, from glacier tour operators to residents of Shishmaref. Please fight for investments in renewable energy, and against the muzzling of scientists, including those who work for federal agencies. We need a genuine climate and economic agenda that works for all. Our children attend public schools in Alaska. It is vital these schools receive the federal support they need. Please do what you can to prevent Education Secretary Betsy DeVos from harming them, and fight against preposterous proposals to do away with the Department of Education. The National Endowment for the Arts and other organizations have greatly contributed to the richness of Alaska's arts culture. Now they are on the chopping block. Please ensure these programs stay funded and supported. As Alaskans, transboundary mines in British Columbia watersheds are of utmost concern. Alaska must guard its pristine, renewable salmon runs, invaluable watersheds, and way of life now and for generations to come. President Trump routinely attacks the news media and journalists, the courts, and anyone who disagrees with or questions him. When Trump and his administration undermine the ethos of the media and the courts, or spread falsehoods, they do real damage to our democracy. As a strong female leader, you value advocacy for future generations. The sustainment of our state and nation, and the foundations of our democracy are at stake under the current presidential administration. We the people depend on thinking and feeling elected leaders like you. We appreciate your courage to forge your own path over the national party line. And we ask that you seriously consider the issues laid out in this letter in your future decisions, and act on them. Thank you for your tireless support of Alaskans. Katie Bausler and Mary Catharine Martin are members of the ReSISTERS, in Juneau. Also signing this commentary are members Kerri Willoughby, Naomi Davidson, Chrystal Bourland, Susan Jabal, Jolene Cox, Christal Higdon, Julie Nielsen, Nina Chordas, Luann McVey, Hollis Handler, Heather Brandon, Amy Kesten, Marlowe Dunker, Kerri Eggleston, Saralyn Tabachnick, Rebecca Gaguine, Kathleen Bracken, Kari Natwick, Jorden Nigro, Abbey Janes, Traci Ferguson Hayes, Ellen Naughter Andrews, Clara Miller, Leslie Antolick, Kaitlyn Bausler and Beth Weigel.